Members of the Wheat Data Interoperability Working Group - one of the WGs of the Research Data Alliance Europe RDA – with strong support from National Institute for Agricultural Research INRA and URGI Information System and Data Integration team - are pleased to announce an upcoming interactive webinar on Wheat Data Interoperability Guidelines reflecting the results of the WDI WG for RDA Europe. DATE: wheat data interoperability guidelines on the 17 May at 2pm UTC (Use Time Converter to calculate the time difference). Total duration: 1h max including 30 minutes of presentation. Target audience: Data managers and curators, bioinformaticians and other interested people. If you are interested in attending, please register on the registration page. “There is an urgent need to improve the infrastructure supporting the reuse of scholarly data” (The FAIR Guiding Principles For Scientific Data Management And Stewardship). What are best practices to ensure the stewardship of research data today and tomorrow? How can agricultural productivity around the world be supported? How public health models that leverage social data, health data and environmental data can be developed? Solutions to these and other critical challenges are being advanced through the sharing and exchange of research data. To increase data sharing and overcome the critical challenges associated with making data accessible, an international group of leaders in the data community joined together in 2013 to form the Research Data Alliance (RDA). In just three years RDA has grown from a core group of committed agencies to a community that now comprises more 3,900 members from 110 countries (March 2016), all dedicated to pragmatically removing the barriers to data sharing and raising awareness of those challenges among regions, disciplines, and professions. Throughout its expansion in response to global interest, the alliance's focus will remain on the development of products that promote data sharing and exchange, and the establishment of diverse collaborations addressing a broad spectrum of challenges pertaining to data interoperability, stewardship, sustainability, policy and use. RDA's working and interest groups design and implement specific tools, recommendations or products within a 12 to 18 month time frame, and these products are tested, adopted and used by other organizations and communities within the alliance. aims to provide a common framework (as a base for an integrated wheat information system) for the international community of wheat researchers, growers and breeders, advancing and sustaining wheat-related science. Wheat data sharing, reusability and operability. which (minimal) metadata to describe which type of data? 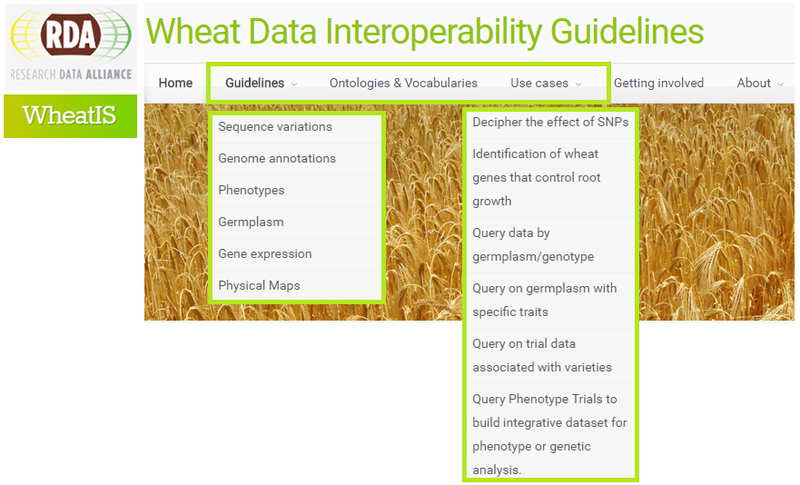 Mainly based on the needs of the Wheat initiative Information System (WheatIS) in terms of functionalities and data types, the WDI WG has identified relevant use cases and produced Wheat Data Interoperability Guidelines to create, manage and share data (described in an appropriate way) related to Wheat. Several organizations have already committed to endorse the WDI guidelines. The upcoming webinar is relevant for all stakeholders (managers, scientists, ontology developers, data producers, information system or tool developer) involved in the (wheat) data value chain and/or interested in adoption of the WDI WG outputs. A carefully selected mix of presentations - ranging from cutting-edge use-cases to upcoming innovation breakthroughs - will alternate several times with a discussion/question moments and open discussions. In particular, this webinar will illustrate why (what are the benefits?) is it important to adopt the WDI guidelines on data description. Afterwards, the webinar will present how to adopt the WDI guidelines on data formats and on data description. Furthermore it will give an overview about types of data covered by the WDI guidelines identified as the most important in the next coming years by the Wheat Information System, a project of the International Wheat Initiative that aims at building an International Wheat Information System. Later on the webinar will explain how adopt the WDI wheat related ontologies portal, e.g. when sharing, aligning your wheat related ontologies within the WDI slice in Agroportal, and developing a new ontology. The final presentations will explain how you can get involved in the maintenance of the WDI guidelines. Richard Fulss works for the CIMMYT as Head of Knowledge Management and is responsible for ensuring that CIMMYT maximizes the value it achieves through its knowledge. 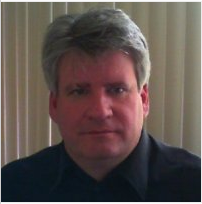 He provides advice to identify, develop, and implement effective knowledge management practices and systems in the organization and leads the knowledge and agricultural data management activities of the organization. He acts as a chairperson for the RDA Wheat Data Interoperability working group. 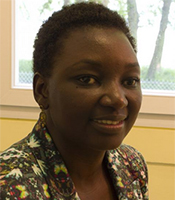 Esther DZALE YEUMO KABORE is actively involved in the implementation of INRA data sharing policy. Her fields of expertise include data management and Semantic Web. She acts as a chairperson for the RDA Wheat Data Interoperability working group. She previously worked as a initiating data manager for an academic bioinformatics platform named GenQuest providing bioinformatics tools, databanks and services to a wide community. Her background is in IT engineering and metadata organizing. The webinar will be recorded and edited afterward into a webcast.